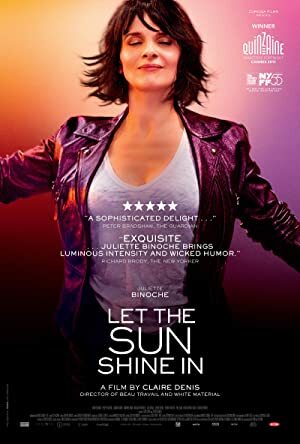 Let the Sunshine In (2017) – What's New on Netflix Canada Today! Un beau soleil intérieur (original title) – Isabelle, Parisian artist, divorced mother, is looking for love, true love at last. A divorced visual artist wanders through a series of fraught romances, shedding light on her lovers’ psyches — and her own solitude and desires.